Don't miss out on our New Release giveaway! I'm a practical gal. I make scrapbook pages because I can see the purpose of them- remembering moments of time and recording history, capturing youth and joy and heart ache, loving family and friends. I also love art- I really do see the value of a piece that brings forth strong emotion but I have yet to really work towards creating art for art's sake. I find it brave and bold those who do. That being said, my friend Sonia enjoys creating art just for the sake of creation. Her art journals are spectacular and inspire me. They have even inspired me to start a prayer journal. Perhaps more a journal with scriptures and notes to capture the love I have for Jesus and that the Lord has for us. Here is my VERY first page in my journal. I haven't even given the journal a name yet. Not sure it needs one. Maybe one will come to me later. I used the FAITH line by MOXXIE with a background of yellow paint. A few torn strips of paper glued on and the Bible Versus are already printed on lovely stickers by MOXXIE. The torn strips reminds me that God does his best work with the broken. Throughout the Bible, those who are sinners and broken are those who God uses for the glory of his kingdom. What an inspiring message because I don't know a single unbroken, perfect human. My artistic friend Sonia took the same MOXXIE Faith line and created this canvas. 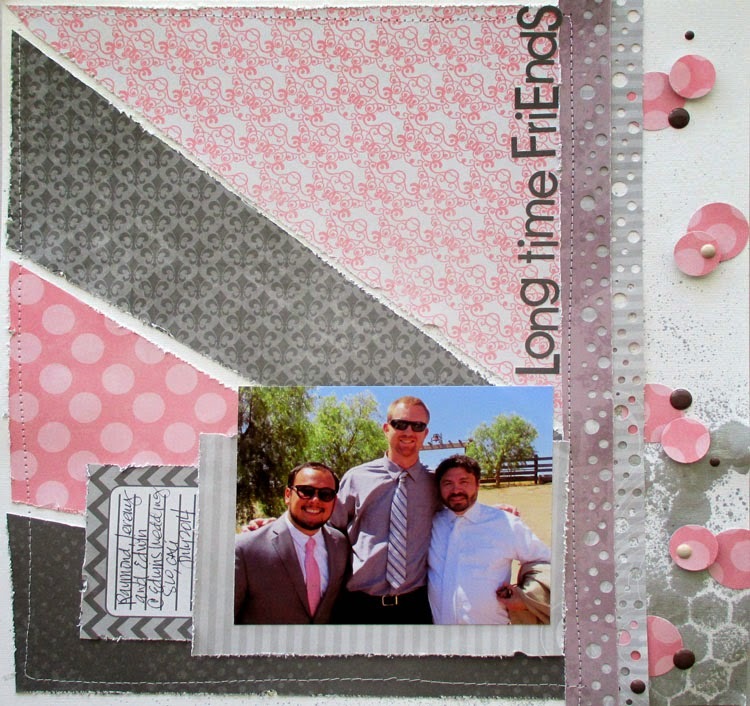 I love how the papers are versatile enough to work with a variety of colors. Look at the texture she created. And I get to hang this in my home! Look at me- I'm making art!! Hello! Samantha with you today. With summer vacation right around the corner, I thought it would be fun to share a layout of my kiddo at Day Camp. It's a Christian themed week long Day Camp, so I decided to play around with Faith for this one. Faith is one of my all time favorite collections. The colors are just so very lovely, and it is so easy to work with! I used pops of yellow and aqua to frame my photos and give a bright feel to the whole thing. To ground my title, I added strips of paper behind the words. 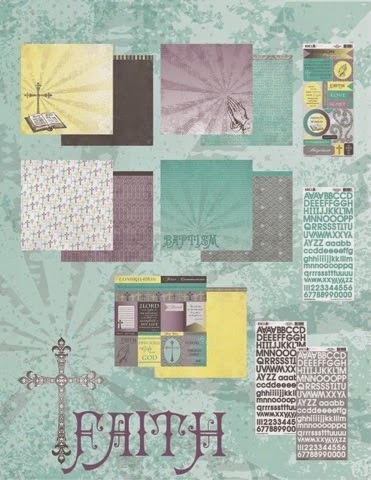 I love that the bright colors make Faith work beautifully for a fun summer (and faith) themed layout! One thing that I love to do when I'm scrapping is to mix and match collections. I love it when I have the freedom to pull from different lines and create a page and it all comes together. 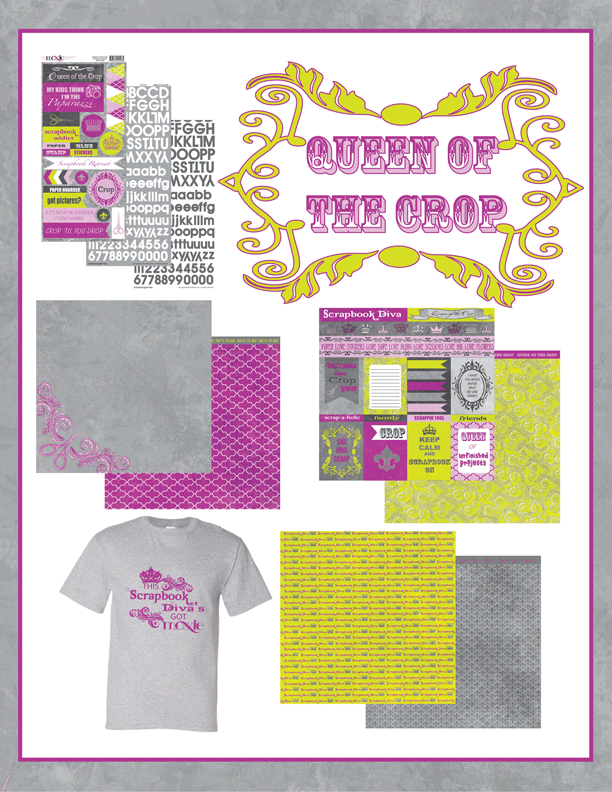 For this layout, I used the Tiny Dancer, the Faith and Queen of the Crop lines. I scrapped this photo of my husband and his friends at his friend's wedding, and wanted to pull the pinks and grays from the various lines. So that's how you mix and match collections. Thanks sooo much for stopping by and have a great day. 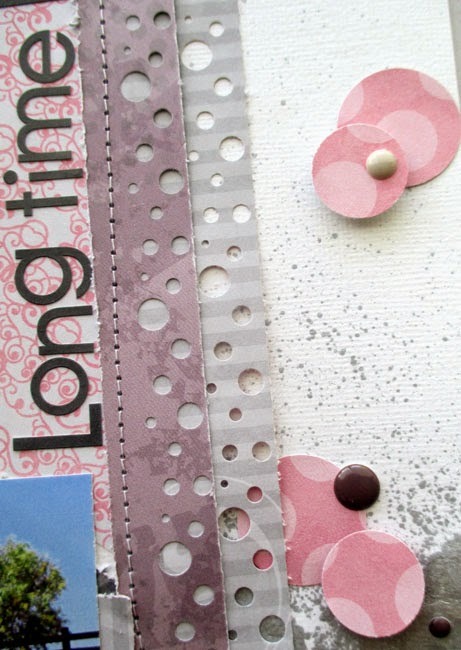 Hi all , today i am stopping by to share a gate-fold card i made using the faith line. I just love the color combo in this collection! So pretty! So i matched up my markers to the colors in the collection and colored an image from my stash. I then used the salvation paper for the base, the stripe paper from the edge of the holy bible paper then used the pray paper to back my doily egg. Then i had fun embellishing it. Thanks for stopping by and happy creating! I love a good piece of wood grain paper, so I started my layout with a piece of At the Beach Surfs Up. The wood grain adds interest to the layout without being to busy and taking focus from the photo. From there it was just a matter of choosing some of the more weathered looking solids from collections like Fun Run and Springtime. My embellishment stickers were a combination of stickers from Fun Run and Faith. When mixing and matching collections it's more important to look at the colors and patterns on the paper than the name/theme of the collection. I finished up by creating my title with some of those awesome Moxxie alphas! I'm surprised by how much I love this Moxxie Faith line. 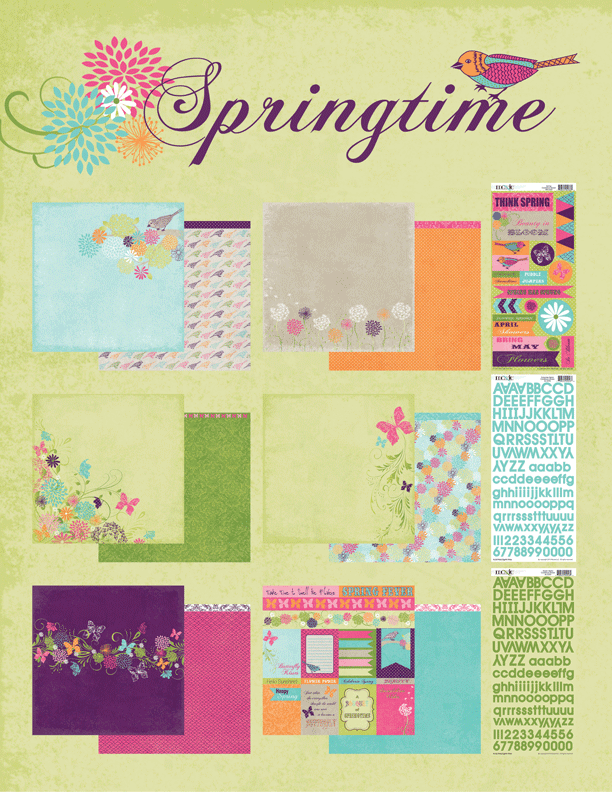 I have to say these papers are very pretty and really appeal to my "girlyness". So here is what I made. I used Moxxie's Faith line for her dress and wings and played off the colors for the background. I needed a title and these banner stickers were perfect. This is a project I made for my sister for here Birthday, (but it would make a great Valentine). K, I used Holy Bible. This was my first time making these roses, and I think they turned out Beautiful. inspired you to get creating. Hi! 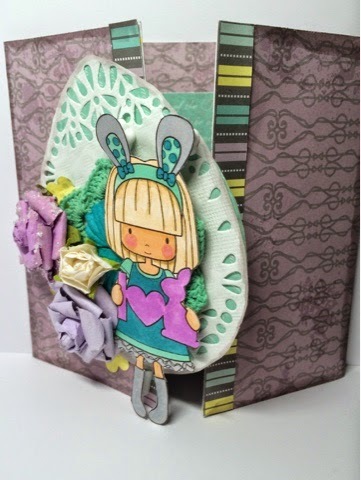 Samantha here today sharing a layout with what might just be my favorite new release: Faith. This summer, my oldest went to his first week of summer Bible day camp. On the last day, parents are invited to come and watch their closing Bible study. I of course took my camera along. Then I used Faith to create this Bible Camp layout. Aqua and gray is hands down one of my favorite color combos. It's so easy to work with and oh so pretty! For today's layout, I started by using Faith Pray as a base. 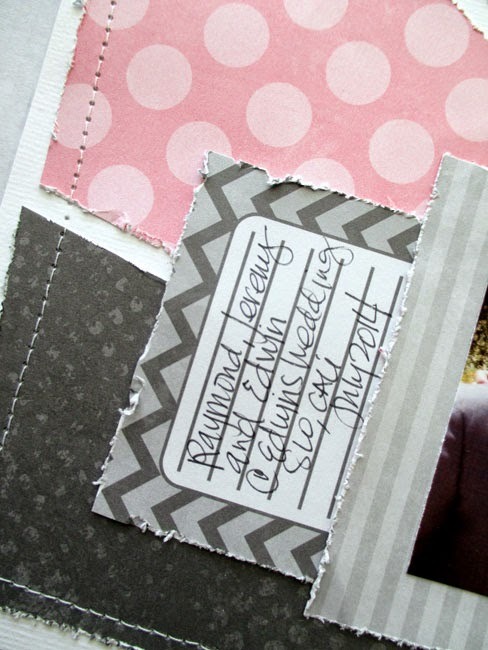 The simple all over word pattern makes for a great almost neutral on which to add more layers. 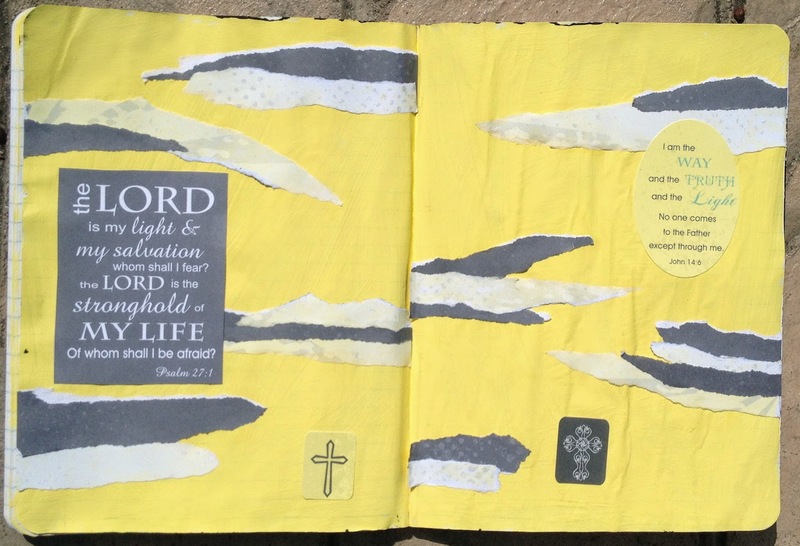 For a pop of color, I added some yellow from Faith Holy Bible. To tie all the colors together, I added in a piece of Faith Salvation. The multi colored crosses help tie together all the colors used elsewhere in the layout. When I finished adding everything to my layout, it seemed to need a bit of anchoring, so I did that by adding some stitching in various places to the layout.